Surendra Kumar Tripathi from Delhi, B.A Graduate. Working for : Currently I Am Provide Illustrations Services In The Industry. Currently working as Comic Artist at Currently I Am Provide Illustrations Services In The Industry. OIL PAINTING ACRYLIC WATERCOLOR DRAWING COLOR PENCIL PASTEL PENCILING ANIMATION PRE- PROD.. ANIMATION CHARACTER.. MODEL SHEET STORY BOARD VECTOR GRAPHICS & D..
are one of expert skill area's of Surendra Kumar Tripathi . 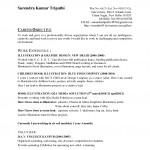 Surendra Kumar Tripathi is working in Others industry.